You are looking at a TRADITIONALLY-CRAFTED Talisman, lovingly created to provide you with a direct link to the powerful Enochian Current. 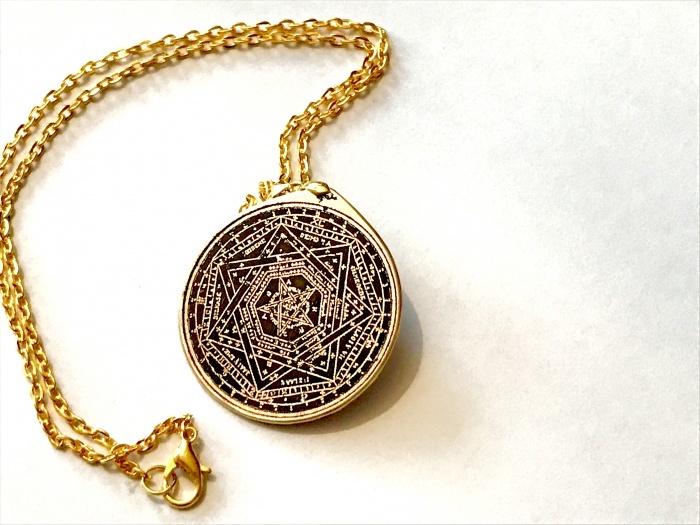 This unique Talisman is constructed from SOLID, 1.2mm THICK BRASS, with the Magickal Seal deeply inscribed into the metal itself. It has been designed to last a lifetime - and beyond. Your Talisman is supposed with a Gold-plated 18-inch Chain, and backed in deep burganday velveteen, completely in line with Tradition. (Please note: as Brass naturally tarnishes, over time, we do offer the option of having your Talisman coated with a specialized jewellery varnish, to preserve it's lustre. This option is FREE OF CHARGE, but you should note that it is not a traditional coating. If you require this, please add a note to your purchase. ​Your Talisman has been crafted using techniques from the Old Artes, in the U.K.'s City of Culture, Kingston-Upon-Hull, in the heart of rural Yorkshire. 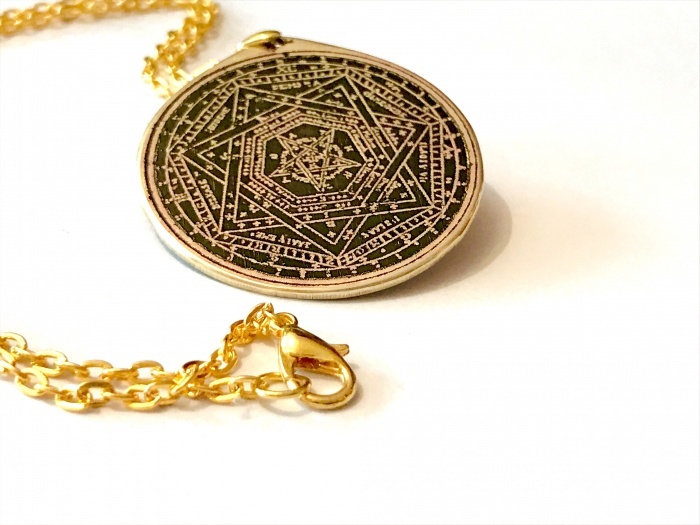 Unlike other suppliers, your Amulet will be ritually linked directly to you, for maximum effectiveness.